If you have ever read or heard of the stories of Blue Voyages from Bodrum, you will realize that these delightful charter boat holidays, that originated in Southern Turkey, is credited to Cevat Sakir. Referenced as the fisherman of Halicarnassus, he was exiled and then later destined with his love, to live a quarter of a century in the city of Bodrum. During his time, he traveled the great open seas and wrote about his journeys in poetry – describing the treasures of this part of the world. Blue Cruises began with his seafaring journeys with his intellectual friends aboard sponge divers’ boats known as gulets. 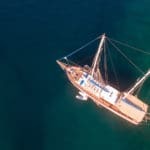 Now decades later, Mediterranean boat charters have become an even more alluring alternative to family holidays abroad. Contrary to sailing bareboats and luxury motor yacht charters, Turkish wooden sailing vessels – gulets, now play an important role in the style of Mediterranean yacht holidays. Among the thousands of islands and kilometers of shorelines that decorate the whole of the Mediterranean and Aegean seas, it may be difficult at first to decide on which destinations to set course to and explore. However, you could begin by selecting a country bountiful in rich history and unique culture; a country boasting with many delights in savory cuisine from a very diverse kitchen; a country known as the cradle of civilization and spread across two continents, offering a past of thousands of years – a country such as Turkey. In the yacht charter sector in Turkey there are nearly a dozen main harbors that travelers generally embark from including the Eastern Mediterranean region of Antalya. The region we describe here is known as the ancient Carian Coast, dating back to the 11th century B.C. From these amazing destinations you will find that many different itineraries can be created for a unique yacht holiday experience from each one. Bodrum is full of the wonders of history and holds a past of many civilizations, from Alexander the Great to Suleyman the Magnificent. Although Bodrum is situated in the Aegean sea, many travelers see it as a part of a Mediterranean cruise holiday. 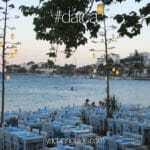 It is located at the southern tip of the Bodrum peninsula in the Gulf of Gokova. Formerly known as the Halicarnassus of Caria in ancient history, Bodrum was well recognized for housing the Mausoleum of Mausolus – one of the Seven Wonders of the Ancient World. The famous Bodrum Castle and landmark of this fascinating city, was built by the Crusaders in the 15th century and overlooks both the magnificent harbor and large marina. The castle holds a Museum of Underwater Archeology and is home to many cultural festivals during the better part of the year. This colorful seaside city is quite ideal for departures and arrivals for yacht charter holidays in Southern Turkey. One of the many features of Bodrum is that it is only 40 minutes from the Milas airport, making it a convenient place to start your holidays. A great many itineraries are created from Bodrum; ranging from gulet blue cruises to the Greek Islands in the Dodecanes, Cyclades, Sporades, the North Aegean Islands of Greece and further south to Crete. You can also find many itineraries custom made to venture to the east of the Mediterranean to places such as Datca, Marmaris, Gocek and Fethiye; as well as Antalya. Marmaris is where the east meets the west; and where the Aegean joins the Mediterranean – the centre of it all in yacht charter vacations. Itineraries are so diverse from Marmaris – that one can go either to the west or opposite to the east and discover a fortune of scenic, historical and cultural finds. As the center of the Carian Coast, Marmaris was noted in history as Physkos, part of Carian period. At the peak of the centrum – known as the ‘Old Town’, rests an ancient castle that was once conquered by Alexander the Great. It is now a museum with many artifacts found from history – all within seven galleries, and a courtyard. Once a sleepy fishing village, the delightful city of Marmaris is now a major destination hot spot in Turkey’s Mediterranean coast. From diving, sailing, and cruising to many other activities, there is more than enough to see and do in Marmaris. The city invites travelers of all kinds each year with its marketplaces, bazaars, night time entertainment; as well as lovely waterfront establishments and of course the charming villages and towns located along the Bozburun peninsula. A favorite wintering location, Marmaris hosts 4 major marinas thereby attracting a large number of yachtsmen each year. 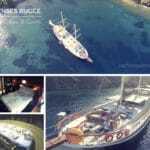 A healthy volume of charter boats embark on blue voyage travels from Marmaris to the west to Datca and Bodrum, down south to the Greek Islands and the east towards Gocek, Fethiye and Antalya. 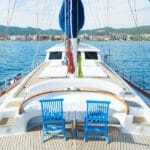 Marmaris is certainly a prime choice for boat charters of all kinds. Gocek, however small, is a delightful town that is home to six significant marinas for yachtsmen from around the globe that make Gocek their choice in an ideal port of call. One of the main features of Gocek town is that it harbors islands and coves located in a large and secluded bay, making is very ideal for yacht tourism. It is a very popular departure and arrival point during blue cruises and quite populated with yacht traffic during the mid to high season. One other feature that attracts visitors to Gocek is its distance from Dalaman International Airport – a mere 20 minutes away. Within the region there are many places to drop anchor and enjoy the turquoise waters of the sea with a refreshing swim, snorkel or scuba dive. The two very famous locations that are a must-see if you are in the area is the 12 Islands and Oludeniz (Dead Sea). Other historical sites that are of interest are Caunos, Telmessos, Fethiye Museum, Tlos, Pinara, Letoon, Xanthos and Patara. With over 300 days of sunshine and high class sailing, Gocek is a good choice for Mediterranean boat charters in Turkey. With all these fantastic destinations to consider and the in-between bays and islands to visit, the question is where to start. The choice is yours. However whatever your preference is, a Mediterranean charter boat holiday from Turkey is an excellent country to start your journey.